Let’s drag out the white circle-shaped elephant in the corner. The nightlife industry is in large part designed to at the very least, enhance, and at worst, facilitate the consumption of mind-altering substances. Everything from alcohol to drugs and beyond is on the menu nightly. As DJs, it’s almost guaranteed that you will come in contact with this fact at some point. So the question is (as the infamous D.A.R.E. shirts posited) – should you just “say no”? As we attempt to walk this razor line delicately, some disclosures and context. This is not an “anti-” anything article. We are pro-being smart – and will not carry a moral position on this one. My goal is to provide some advice and techniques for young DJs to use when navigating this sometimes tricky landscape of being “cool” while staying smart. 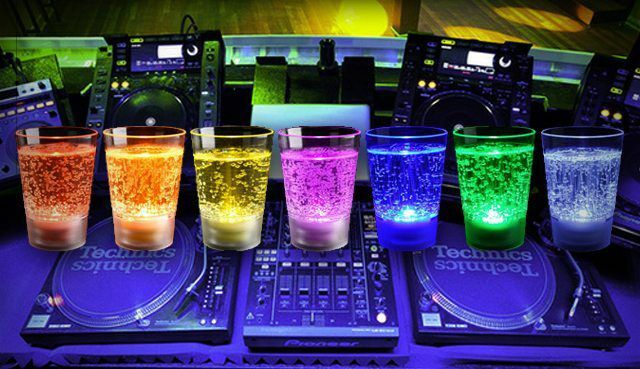 Have you ever seen a DJ booth and not spied a drink nearby? The answer is probably not and the reason simple: most dj’s are usually shy or a little bit nervous, and a few drinks could provide a quick shot of confidence. This inhibition decrease is the first thing to occur after a drink, but it’s short-lived and the longer-term effects (slower thinking and reaction time) stick around for a much longer. Further drinks start to impair motor function and response time but no longer provide any inhibition benefits. In short, that first drink might take the edge off but long term it will effect your ability to mix. Before reaching for a drink to relax yourself pre-set, consider that there might be more effective ways to get the same results. While DJing drunk can feel like a lot more fun, you have to ask – I am really doing a better job? The second idea holds a little weight, but doesn’t work out logically. If you have been in any kind of an “altered” state in the past (which could also be ecstatic dance or meditation btw), then you probably have a pretty good idea what that guy on acid is feeling like right now. It’s not really essential for you be on drugs in order to play a set for those that might be. At the most basic level, DJs are given responsibility to make smart musical decisions for an event. What is the best track to play now? Who am I playing to? It becomes very hard to make good judgment calls when your decision-making centers and motor skills are seriously impaired. As the previously cited article notes, various parts of the brain are affected with more alcohol. The first drink largely limiting inhibition (generally not a bad thing) but further drinks resulting in mostly negative effects. So, if you must drink, then just be smart and keep it in moderation. If you do find that drinking greases the wheels of creative song selection, then we invite you to imbibe like a professional, not an amateur – you are in fact get paid to party after all. Here are five tried and true techniques for going the distance without running into the ground. Drink an energy drink instead (like Red Bull or similar). All of that taurine and caffeine will put you at the same energy level as the crowd without the fuzzy mental focus. Pair each alcoholic drink with 1-2 glasses of water. By replacing your fluids through the night, you not only avoid the hangover but will keep significantly more mental focus. Do as the sober folks do and drink faux cocktails. Cranberry, soda in a large glass with a large lime is the perfect fake cocktail that will keep your hands occupied for a long time. Fake Shots! Bartenders love this one. They have water shots ready to go or a special bottle to pour from. This will keep all of your friends and that liver happy at the same time. If nothing else – then please consider your ears and the effect of booze on your perception of noise. Monitor abuse during a set laced with the sweet taste of Johnny Walker is almost guaranteed. Unless you want to take the direct flight to tinnitus, it’s advisable to keep drinking in check while at the helm of a mixer. Read more about how drinking can cause tinnitus in this DJTT article. While many people get into DJing as a way to finance their party lifestyle, I would suspect the majority of our readers are in it for the creative thrill and musical challenges that DJing presents. The average party-goer can afford to go overboard and then check out for a while to recover from a serious party binge. However, if DJing is a life choice, then it’s critical to take the “long haul” approach and avoid toxic burnout at all costs. 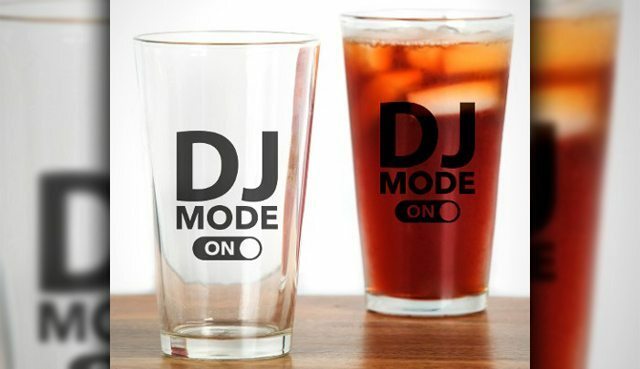 For some DJs that may mean a totally sober approach, while for others simple moderation could be enough to maintain balance. One thing is guaranteed, partying like you’re on the dance floor is not a sustainable path to a healthy career.